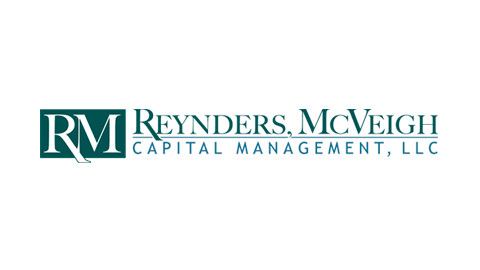 (Boston, MA) April 10, 2019 – Reynders, McVeigh Capital Management, an investment management firm with an Environment, Social, Governance (ESG) integrated approach to equity selection, announced the launch of the Reynders, McVeigh Core Equity Fund. The actively-managed Fund, available via the Fidelity platform, seeks capital preservation and long-term capital growth through the same investment disciplines as the Reynders, McVeigh Core Equity strategy. The Reynders, McVeigh Core Equity Fund is a global fund that will seek to invest in developed markets. The high conviction strategy and integration of ESG factor analysis contributes to potential low portfolio turnover, which in turn may limit tax liabilities and transaction costs for investors. Since its founding, Reynders, McVeigh has utilized ESG inputs as a part of its holistic research process. The firm’s integrated approach upholds the highest fiduciary standard and uncovers liabilities and performance factors that its managers believe lead to better operating performance in portfolio companies. For important information about the Fund including its investment objective and strategy, please view the Prospectus and Statement of Additional Information (SAI) at www.reyndersmcveighfunds.com. Reynders, McVeigh Capital Management is a Boston-based investment management firm that manages portfolios comprised of companies that emphasize sound financials and social impact. The firm has more than $1.9 billion in assets under management and advises on an additional $4.7 billion in trust assets. Reynders, McVeigh constructs individually tailored portfolios by leveraging its proprietary research while emphasizing transparency, discretion, and a due diligence process in support of each investment. Investors should carefully consider the investment objectives, risks, and charges and expenses of the Fund before investing. The prospectus contains this and other information about the Fund, and it should be read carefully before investing. Investors may obtain a copy of the prospectus by calling 1-800-950-6868. Distributed by Ultimus Fund Distributors, LLC. Investing involves risk, including loss of principal. The Fund’s ESG criteria may exclude certain issuers, and the Fund may forgo some market opportunities to funds that do not use these criteria. Global investments present special risks, including currency fluctuation, the potential for diplomatic and political instability, regulatory and liquidity risks, foreign taxation, and differences in auditing and other financial standards.